At one point or another, your pet will need to have her hair groomed, regardless of whether she is a smooth haired Chihuahua, or a large fluffy husky. 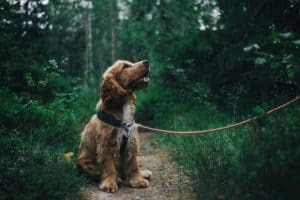 A proper trim or a nice bath not only makes your pet look healthy and well kept, but it also helps her feel comfortable, especially during the hot summer. However, if you usually take her to a professional to have her hair clipped, the cost can be off-putting in the end. Therefore, most pet owners have turned to home grooming as an alternative because it is a cheaper option. Home grooming means purchasing a reliable dog hair clipper to be used at home; you can also get a pet-grooming table if that fits your fancy. Many consumers, both amateurs and professionals believe a good clipper should be efficient, durable and easy to use. However, finding a good clipper is not an easy task because the market has many different types and picking the right one for your pet’s needs is a challenge. Fortunately, for you, we have put together a list of things to look for when purchasing a grooming clipper and the top rated Dog Hair Clippers in the market. Oster A5 Turbo features two speeds allowing you to have more power when it is necessary. It comes with a motor that generates 3000 strokes on the first speed and more than 4000 strokes on the second higher speed. 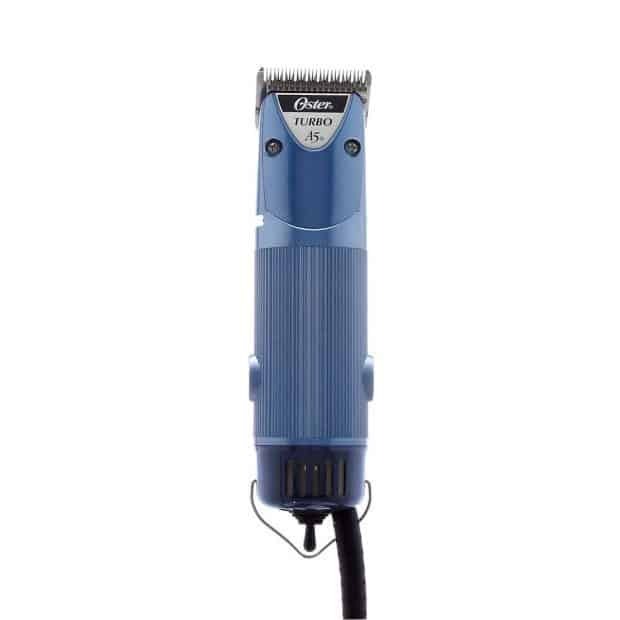 This clipper can handle thick dog hair and you can use it on other pets like horses and cats. The best thing about this clipper is its cool motor. This clipper does not heat up when you use it for a long time. The motor is also quiet, which is interesting considering that it generates a lot of speed. So, it is the best choice for pets that tend to be anxious. Each set comes with a set of Oster blades, oil, guard, and a kit to help you keep the clipper clean. If you are looking for a full body clipper that can be used to cut hair on all types of breeds, then this is the right product for you. 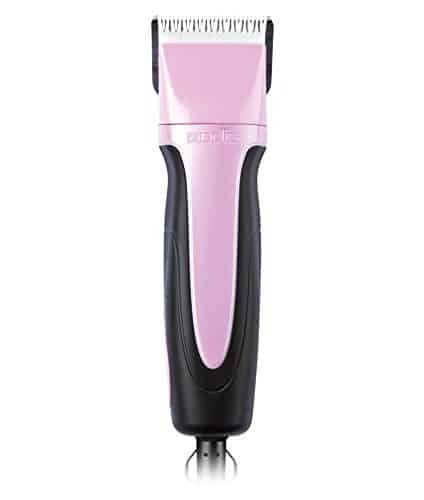 This clipper features a lithium ion battery to give you top-notch performance with a high level of flexibility to groom any part of her body. This Wahl dog hair grooming clipper has a quick charge feature and the battery can last for more than two hours at a time. The best part about this product is that it comes with color-coded combs to help you find the right hair length. What’s more, the blades are self-sharpening and can cut the thickest coat. This clipper is designed for a pet owner with average skill in grooming and a pet with an easy to groom coat. 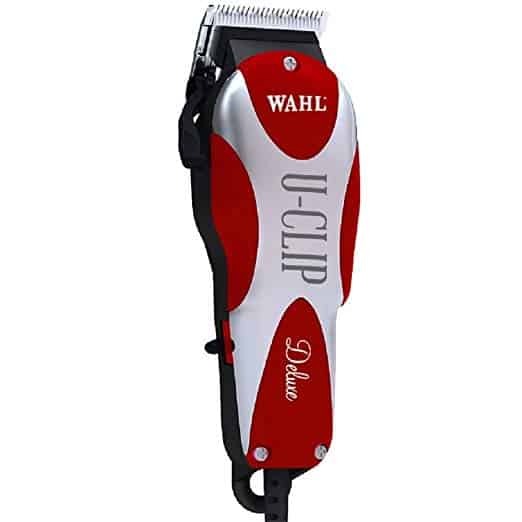 This brand of Wahl is reasonably priced if you are looking for a not so expensive clipper that still does the job. If you have just started grooming your pet and you are not sure whether you are really up to the task, this is the right clipper. You will have a feel of what it takes to groom your own pet. This brand also comes with a blade that can be adjusted to suit your taste so, there is no need to worry about picking the correct blade. It comes as a kit, so you get all sorts of accessories including an instruction manual in the form of a DVD! One of the things that make clipping such a fun filled activity is power. If you are looking for a clipper with power, then this is the deal for you. It comes with a 2 speed motor, so you won’t feel the difference when you compare it to a 5 speed. You still get a base speed that will cut through the toughest of dog hair. Andis comes with a cord, so you won’t have as much freedom to move around, as you would like, however, it is a small price to pay if you are looking for power. This clipper is quiet and does not heat up even after a few hours of use. It features a detachable blade so that you can clean it after use. 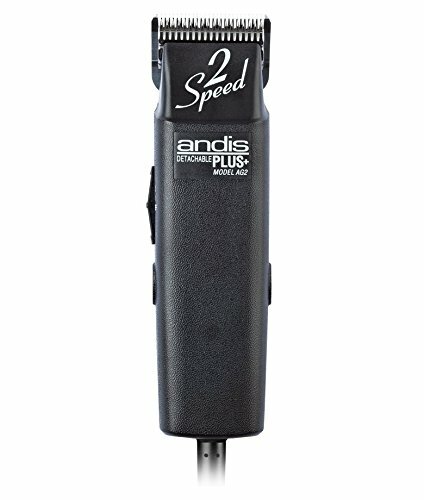 Andis Excel pro features a powerful motor to drive your clipper and cut through that tough hair for a complete grooming. This clipper has a variable 5-speed level and you can choose any of the five speeds depending on where you are grooming. Low speed is used to groom through sensitive parts of her body and ensure that the clipper does not heat up. A higher speed is meant for a neater and prettier finish. The grip handle is anti-slip, meaning it won’t fall of your hands once you hit a mop of tough hair. The Andis Excel Pro-Animal also comes with detachable blades so that you can take them off after use for easy cleaning. This clipper is a powerful workhorse because it combines durability and the power of a lithium battery to give you a lightweight and cordless dog clipper. It features five blades of different sizes so that you can have variety when it comes to cutting her hair. The battery is bravura lithium and when fully charged, can run for 90 minutes. The best part is that the clipper will operate at full capacity until it is fully discharged so there’s no power fatigue where the clipper’s performance degrades as the charge is weaker. The battery recharges in just 60 minutes or if you prefer not to wait, just plug it in and continue working as it charges up. The clipper has an ergonomic design that makes it feel comfortable to hold and it is built out of lightweight material. The surface is anti-slip and you will not experience wrist fatigue even after hours of use. Grooming your pet with a clipper shortens her hair and ensures that when you wash her, dog shampoo reaches the skin easily and cleans it thoroughly. Also, drying her skin becomes easy because an ordinary dog towel can do the job. Some pet owners like to scrub, blow dry or just brush the coat in order to get rid of dead skin or excess fur. If your pet’s hair is short, all these different ways of grooming are really easy and effective. Like you, your pet suffers from ailments occasionally and these are easy to spot once you cut down her hair. Short hair makes it very easy for you to spot skin problems or even internal issues if you feel there is something off about the condition of her skin. Clipping down her hair means that you will not have to go around the house picking up her hair off your couch or clothing. Most of the excess hair is cut off when you use a clipper and that means less hair on your furniture or home in general. You have thought about everything else that you want in a clipper, but still can’t decided what works for you between corded and cordless. A little more information about these two types of clippers will help you make a decision. Cordless clippers do not need to be plugged into a wall socket for them to work. They are easy to work with because you have the freedom to move around with them as much as you want. They are useful when you are grooming your pet in a tight space with little room to move around. Cordless clippers come with their own battery, which can be recharged after a few hours of use. Unfortunately, the rotary speed per minute will decrease as charge decreases and the clipper will not work well. On the other hand, corded clippers offer you good RPM and battery life is not an issue to worry about. Moreover, corded clippers offer you a lot of power so that you can groom her within a short time. Nonetheless, corded clippers come with cords attached at the bottom, and they often get in the way when you are cutting your pet’s hair. They are not a good option when you are working in a tight space with little allowance for maneuvering around. A quiet motor should be the next thing to think about. If your pet tends to get nervous around noisy appliances like vacuums, a noisy clipper might cause her to fidget around and you may not finish the hair cutting session. Most likely, you pet will squirm around or even consider running for her life, and that will make your job hard. A good dog hair grooming trimmer is quiet and soothes your pet into submission so that you can give her that much needed hair grooming. An easy way to find out if the clipper of your choice is quiet is to view online videos or read customer reviews. You could also try one out if that option is available. 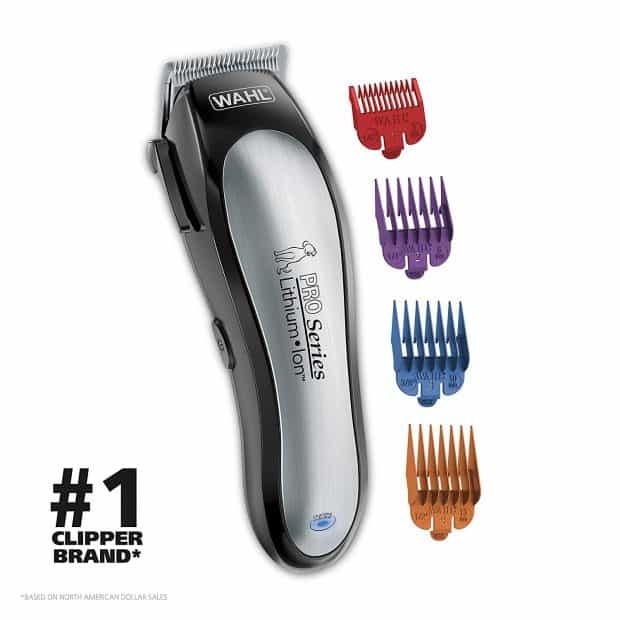 Find a clipper that comes with additional accessories such as cleaning oil, brush, and a variety of combs. This is a better option because you will not have to buy a similar set at an extra cost. Also, buying a clipper with these accessories included ensures that you have the correct tools that will work well with your particular clipper. This is important because using any other tool that is not compatible with your clipper may cause it to break down. There is no doubt that hair clippers are important grooming accessories for your pet. However, there are very many in the market today so finding the right clipper for your pet is a long winding road. Thankfully, we went out of our way to make this journey as easy as possible. We have listed some of the top rated dog hair clippers in the market. 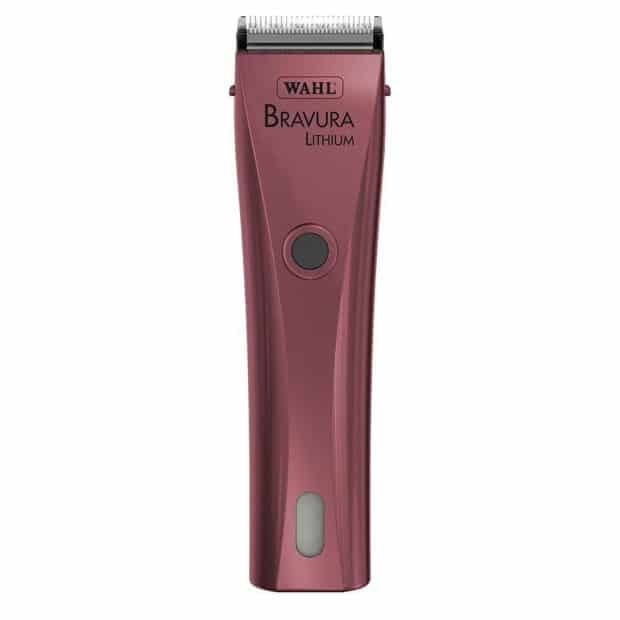 If you have decided to groom your pet at home, we recommend Wahl Professional Animal Bravura Lithium Clipper because it is efficient, durable and easy to use. You can easily maneuver around your pet and give her a thorough hair cut without experiencing wrist fatigue.